LAMP Missionaries visit with the sick and elderly poor in hospitals and nursing homes in areas of poverty, who are often abandoned by their families and friends, to bring them comfort, to share the Word of God with them, and to bring Holy Communion to those who are Catholic and unable to go to Church for whatever reason. 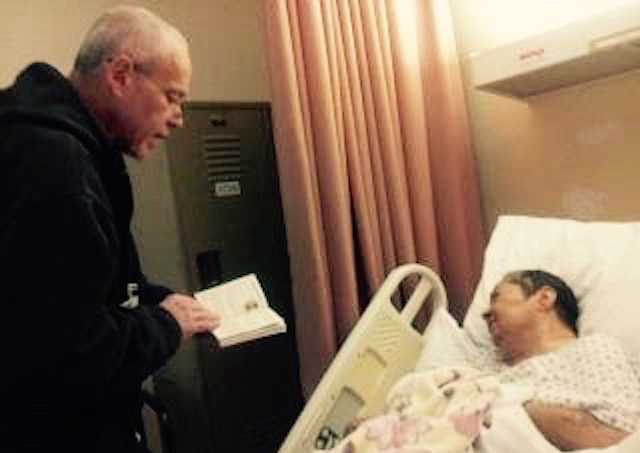 Sharing the Gospel with a woman residing in a nursing home in Brooklyn, who needs to know that God has not abandoned her. “Whatever you did for one of these least brothers of mine, you did for me” (Matthew 25:40).